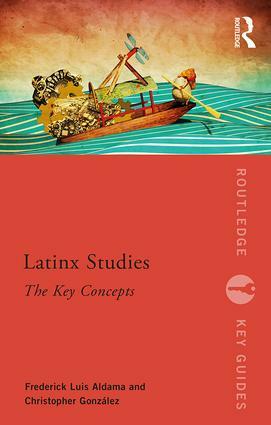 Fully cross-referenced and complete with suggestions for further reading, Latinx Studies: The Key Concepts is an essential guide for anyone studying race, ethnicity, gender, class, education, culture, and globalism. Frederick Luis Aldama is Arts and Humanities Distinguished Professor of English and University Distinguished Scholar at the Ohio State University where he is also founder and director of LASER and the Humanities & Cognitive Sciences High School Summer Institute. He is author, co-author, and editor of over 36 books, including the Routledge Concise History of Latino/a Literature and Latino/a Literature in the Classroom, and recently won an Eisner award for Latinx Superheroes in Mainstream Comics. Christopher González is Associate Professor of English and Director of the Latinx Cultural Center at Utah State University in Logan, Utah. His research and teaching focus on twentieth- and twenty-first century Latinx literature, film, television, comics, and narrative theory. He is the author of Reading Junot Díaz (2015) and Permissible Narratives: The Promise of Latino/a Literature (2017).